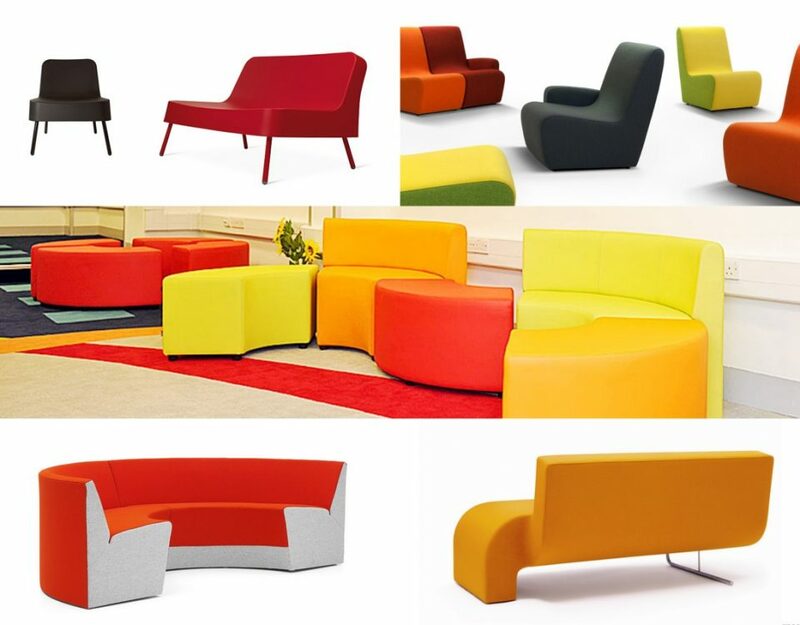 Working with various clients allows us here at Spaceist to align the special requirements of each project with the most suitable furniture. Factors such as spatial limitations, a variety of budgets and other interior features play an important decider for the ideal option. These meeting rooms highlight different factors and limitations that can become general key deciding issues. We present how we dealt with them through these four projects. Alongside formal classrooms, colleges also require a space for informal learning, seminars and brainstorming. They allow a multi-use space for enhancing the learning environment. At Immanuel College in Bushey, Hertfordshire, we had to fill a special area by a curved wall with a conference/meeting table. 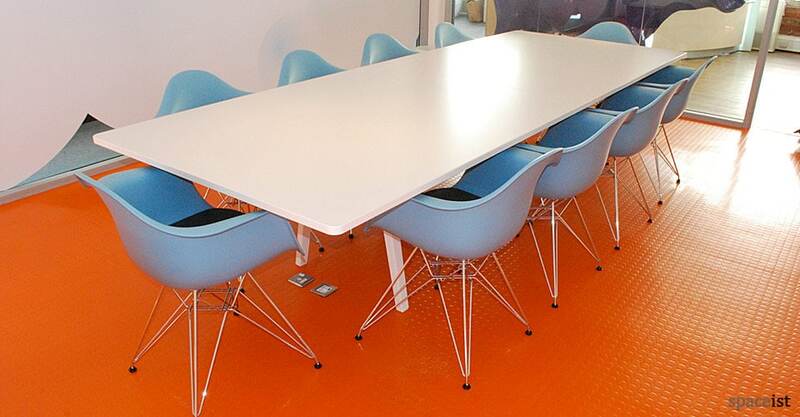 The selection of the X study table was made for its large surface area making it big enough for a medium to large group to sit around and work. As the table is such a big size, the rounded ends and slighting oval shape not only fits into the spatial measurements of the room, but it permits full views around the table. 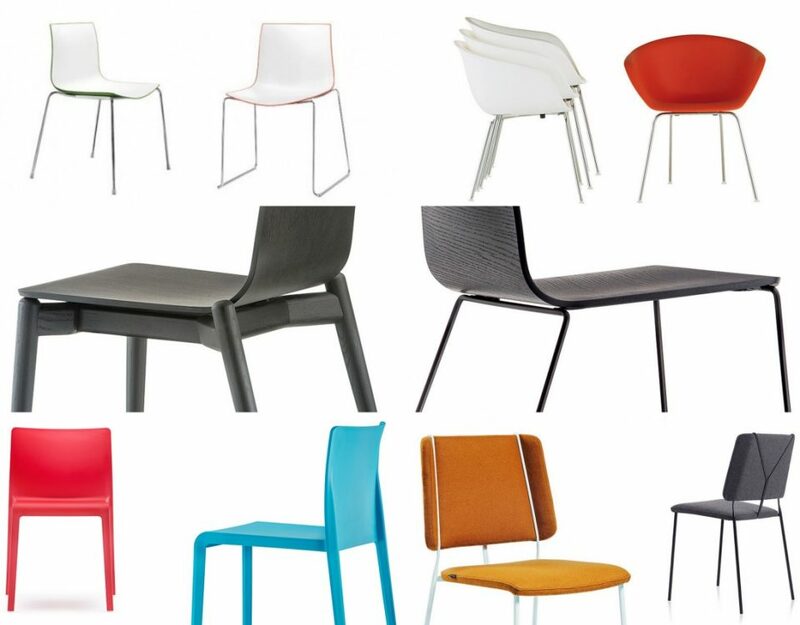 We selected the Ondo study chairs in a vibrant palette, which creates a colourful look to enhance the attractiveness of the room. When creating a space that will not only be used by staff, but for client meetings too, it becomes vital that the interior represents the organisation well and is impressive. 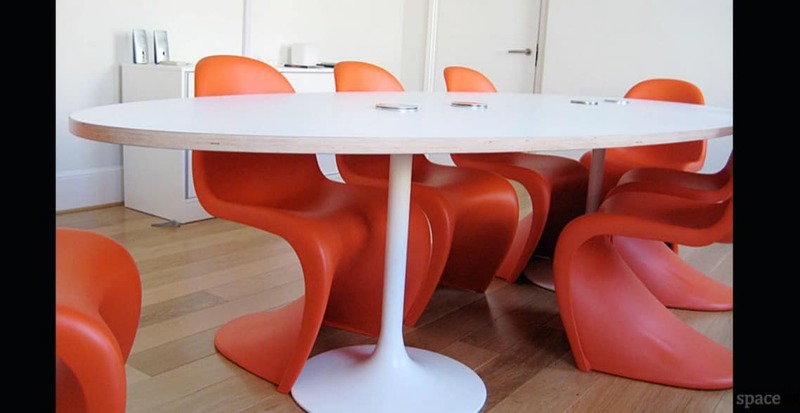 To create an impressive space for the meeting room at Space City, we supplied the Veneer Panton chairs. A designer icon, the Panton presents a retro curve and comes in vibrant colours, here shown in the company’s brand colour. Not only is it stackable but made from a highly durable and long lasting composition material. For the special size of the room, we had to supply a bespoke table from the Venus range. The trumpet base legs adds to the retro look, whilst functioning power points and cable management offers efficient use for meetings and presentations. 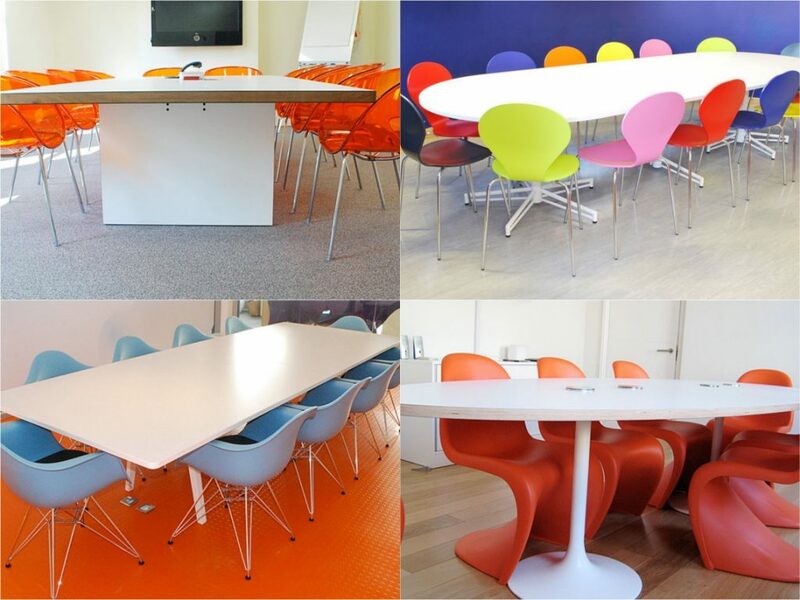 For an already bright meeting room, Steak Digital required complementary furniture that would not affect the bright flooring. The requirements were for a large workspace that had executive level quality furniture. 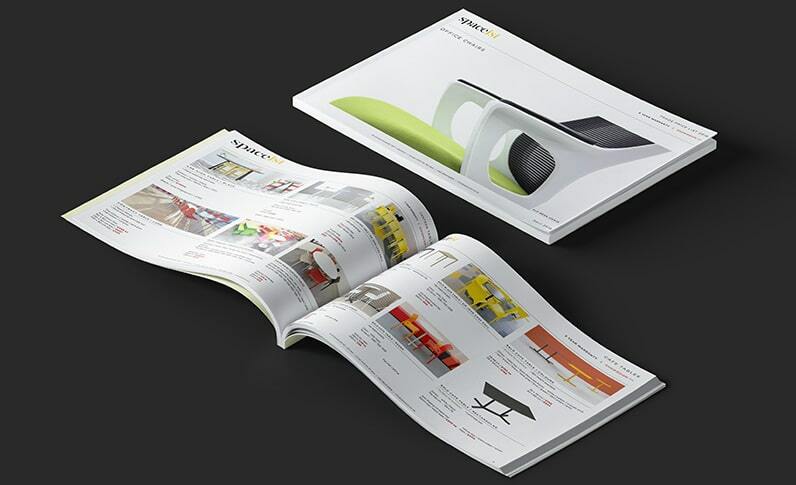 This required we present a high quality, designer option to support the needs of the space. 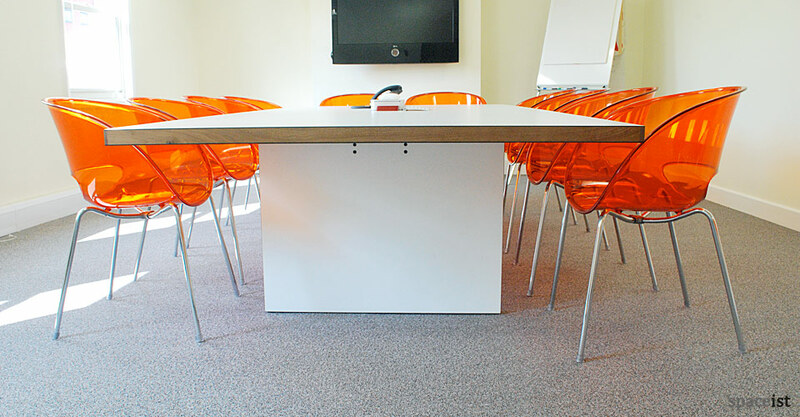 Measuring at over 300 cm, the generous Join meeting table is a modern option for executive meeting spaces. With subtle rounded edges and slim trestle base legs, the table works as a neutraliser against the floor and chairs. 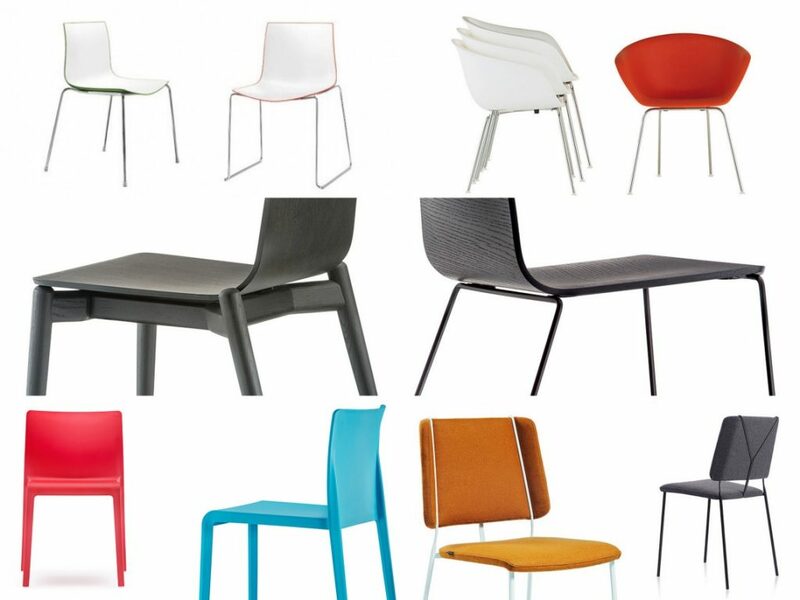 A striking look was finished with the Eames plastic arm chairs with padded seat cushions. The light blue chair and grey seat cushions offer a mellow tone and enhance comfort. 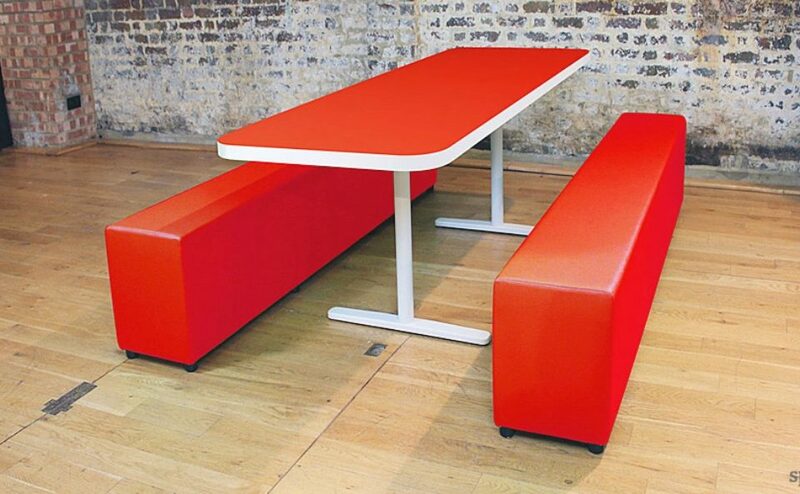 A project for Agency Inc. required the supply of a large, simple table. 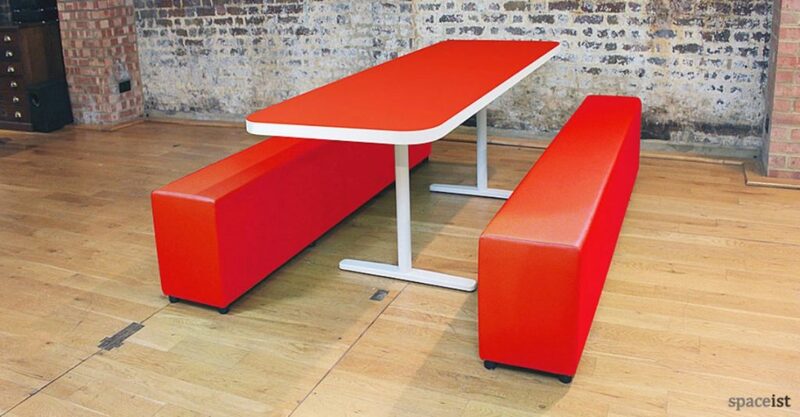 One of our favourable table options, the JB table is a versatile option for meeting spaces. 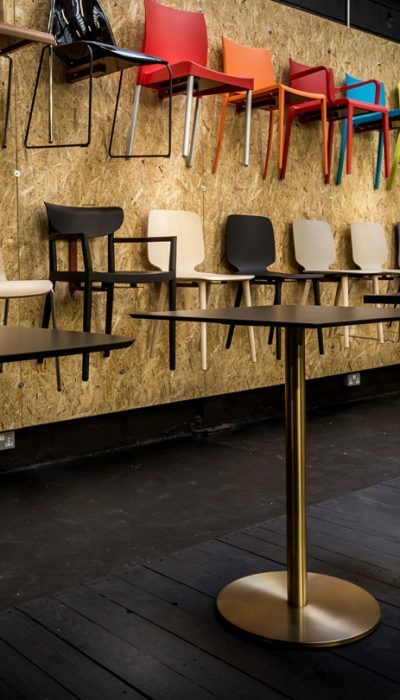 The table comes with customisable Formica laminate top and a large variety of sizes, including customisable sizes for different spatial requirements. Choose from bold and colourful options to wood veneer finishes to create brand matching. The JB table, with its thick table top yet lightweight composition, the JB table is both stylish and high-quality designer. 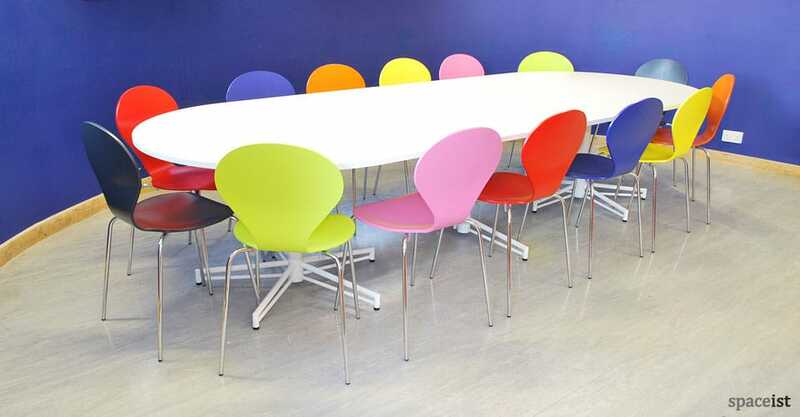 To fit a large group around it, the table was selected in a 300 cm length with a clean white laminate finish to contract bright chairs.